It’s a truth universally acknowledged that a content-creating ‘thought leader’ with aspirations of Medium grandeur must be in possession of a single piece of advice. Not only does this unoriginal drivel lack context, it’s horrific advice. Like any decent academic, I had to understand what makes it terrible. First question: Who decided that Hemingway gets to be the literary god of content marketers? It can’t be because of his success. Sure, Ernest Hemingway accumulated accolades during his life, but he’s far from the most awarded American writer. The advice would be to write like Toni Morrison or Stephen King if that were the case. Winning awards does not a content god make. Unlike his literary foe, Faulkner never feared lush descriptions. In fact, Faulkner so successfully described his characters that people within his hometown of Oxford, Mississippi quickly discerned who inspired certain characters. There’s a 95% chance anyone suggesting to write like Hemingway has never actually picked up Hemingway’s books. “Thought leaders” have a knack for repurposing trendy thoughts, slapping on a smug Instagram selfie, and claiming them as their own. 1. It devalues instances where longer sentences are needed for effect. One of the first keys to “writing like Hemingway” is brevity. Short sentences are required. In fact, it’s so associated with the writer that a popular editing tool exists in his name. 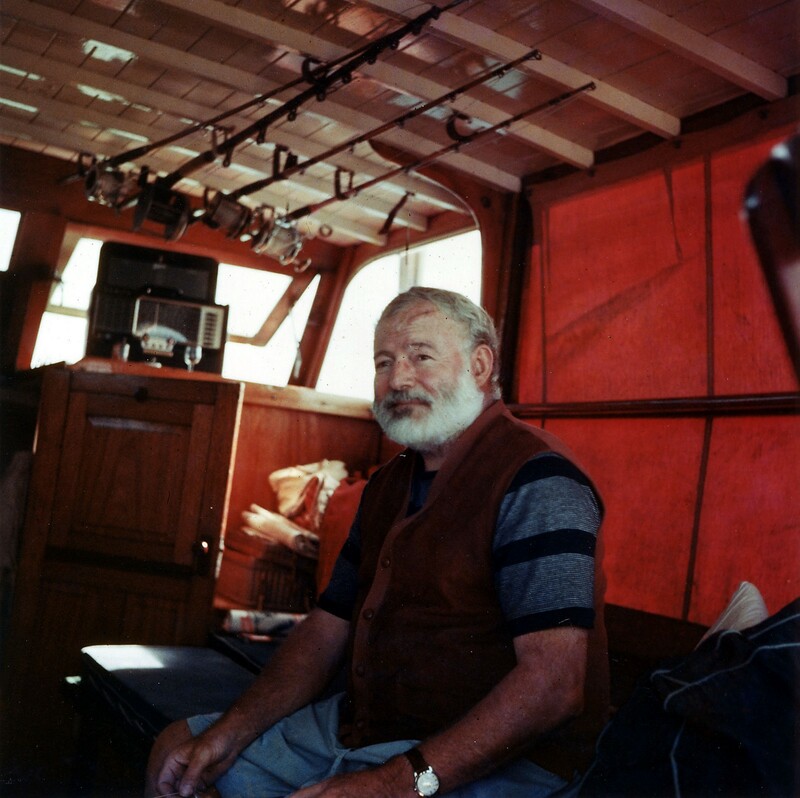 The Hemingway App is only the newest in a series of online tools promoting shorter sentences. One of the most popular is the Flesch Reading Ease test. The automated tool estimates the reading level of your content by taking into account number of words in each sentence, the number of sentences, average number of characters per word, and the average number of syllables per word. The problem with Flesch Reading numbers and similar web tools is that it equivocates comprehension with brevity. “The cat sat on the mat” and “Mat cat the sat on” will earn a writer the same Flesch score. However, the former is far more comprehensible than the latter. Contrary to popular belief, readers don’t shy away from longer copy. They’re still taking note of proper grammar. Most people will easily read through a lengthy, more complex sentence provided those sentences are grammatically correct and bookended within shorter sentence structures. Just like that. Content Marketers: As long as you’re giving readers interesting content, they won’t care about 10-word sentences vs 20-word sentences. Understanding the nuances of sentence structure is what people need to promote, rather than “Short sentence, good. Long sentence, bad.” Longer sentences — particularly in technical writing or for certain industries — are unavoidable. 2. Hemingway used descriptive language — but he favored particular styles. One of the worst assumptions to be made when telling someone to “write like Hemingway” is that you’re suddenly writing with a lack of description. Hemingway avoided “-ly” adverbs. That’s been a well-documented association with the writer for decades. He’s not the first person to utilize this simplicity, nor will he be the last. He did not, however, avoid descriptions. He leveraged appropriate adjectives, precise nouns, and direct verbs. In content marketing, never be afraid to ‘show’ your audience how your content/company/services impact their lives — “-ly” optional. Academic Sidebar: What pseudo-content-marketing influencers might not understand is that their boy Ernest isn’t the master of the anti- “ly” campaign. That belongs to Toni Morrison who, in a statistical analysis of works, used just 76 “-ly” adverbs every 10,000 words compared to Hemingway’s 80. 3. Descriptive language IS NOT THE SIGN OF BAD WRITING. Which of the following gives you the most information about a situation? 1.“What a dumb decision,” she said. 2. “What a dumb decision,” she blurted out. 3. “What a dumb decision,” she blurted out, face red from the thickening tension. Language exists for communication. Why would anyone who claims to appreciate language throw away words? And why on earth would someone paid to be a communicator dissuade people against using language meant to more effectively communicate a point?! Moral of this Story: Write like you, and remember your audience. If you were hired to a team, there’s a 99.9% chance you submitted samples of your copy before landing the job. That team hired you for your voice — not so you can work as the reincarnation of America’s literary alcoholic. You’ve invested time in learning about your target audience. You know what content they want to read. You know what copy appeals to their taste. Don’t sacrifice giving your readers quality content for the sake of being trendy. As content marketers, we don’t exist as dispassionate observers of the world around us. It’s our passions for our clients and our own work that drives us forward. We see the vivacity in our clients. We craft copy to share that voice and story with the world. We don’t work as grizzled, drunken, bearded seamen, belligerently slurring their tales with surprising brevity. We write for our audiences. And the next time someone tells you to ‘write like Hemingway’? Take inspiration from Hemingway’s own lifestyle: hop on a boat to Cuba, grab a stiff drink or five, and avoid that person at all costs. Shelby Rogers is the Content Marketing Manager for DigitalUs Agency — a digital marketing firm located in Orlando, Fl. When she’s not writing about social media strategy, SEO, or content theory, she runs half marathons, reads lengthy books, and visits Walt Disney World far too often.